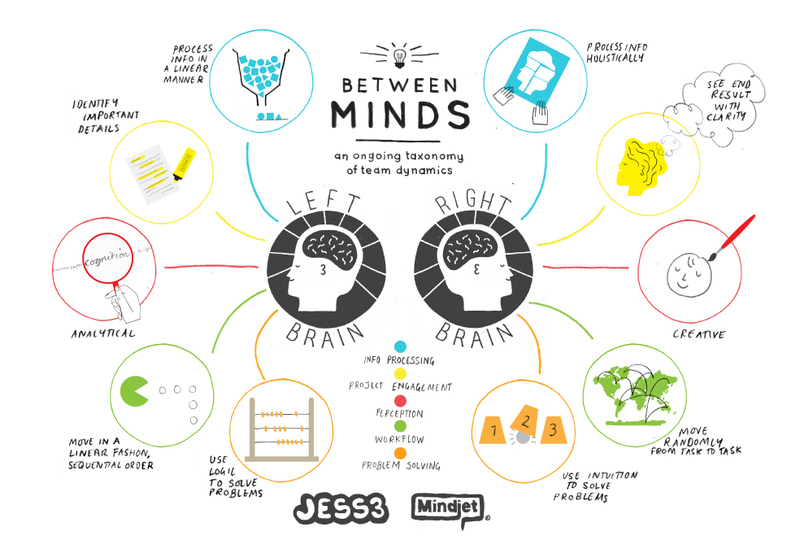 Mindjet approached JESS3 to create content that would engage its Facebook audience, spurring shares, likes and comments. 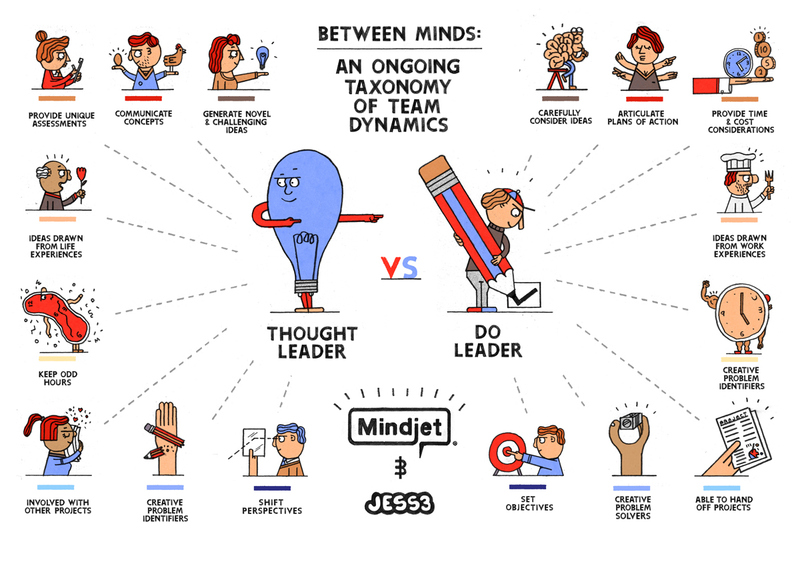 Mindjet software, services, and apps improve how people work together. 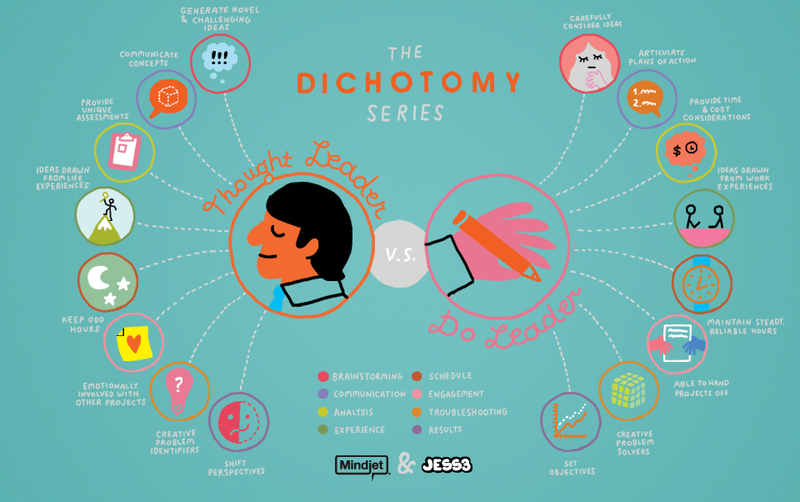 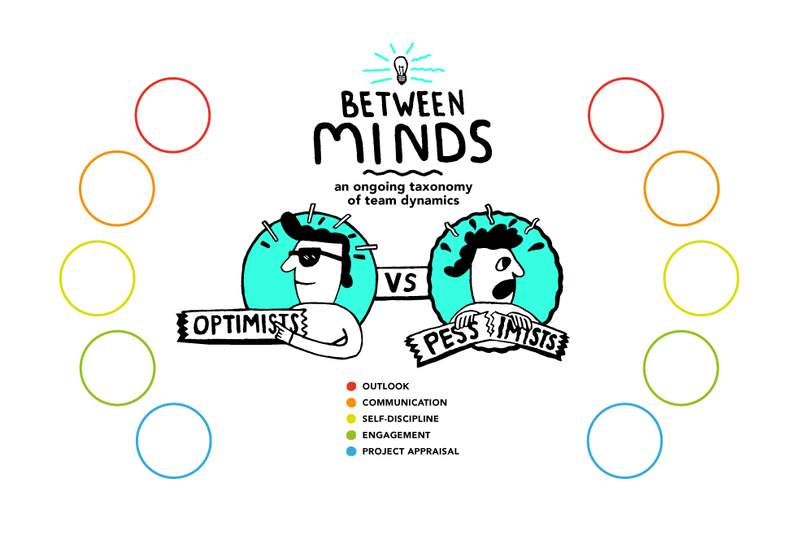 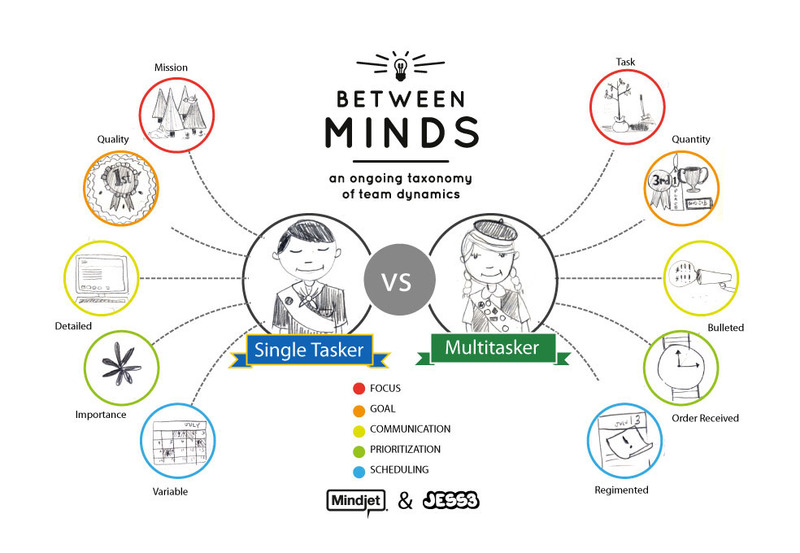 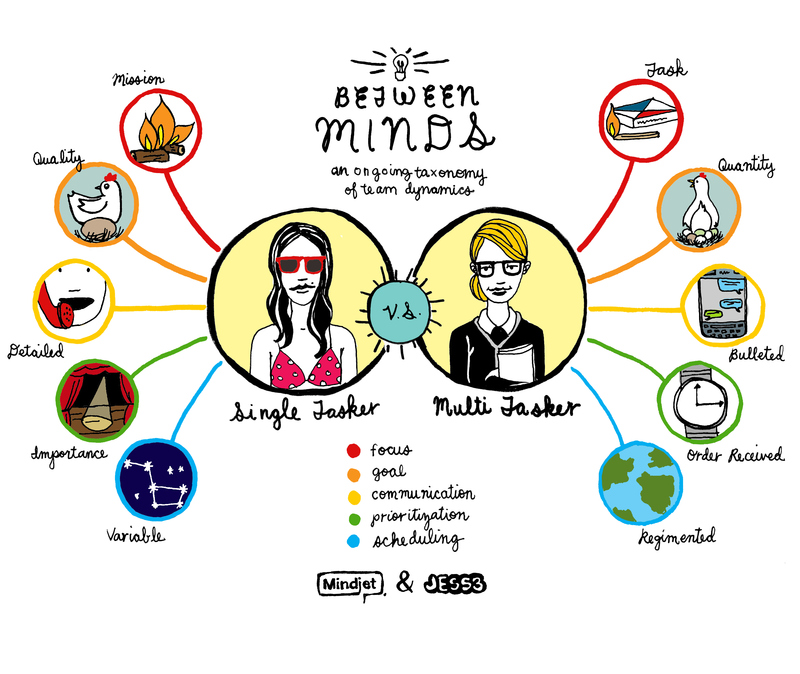 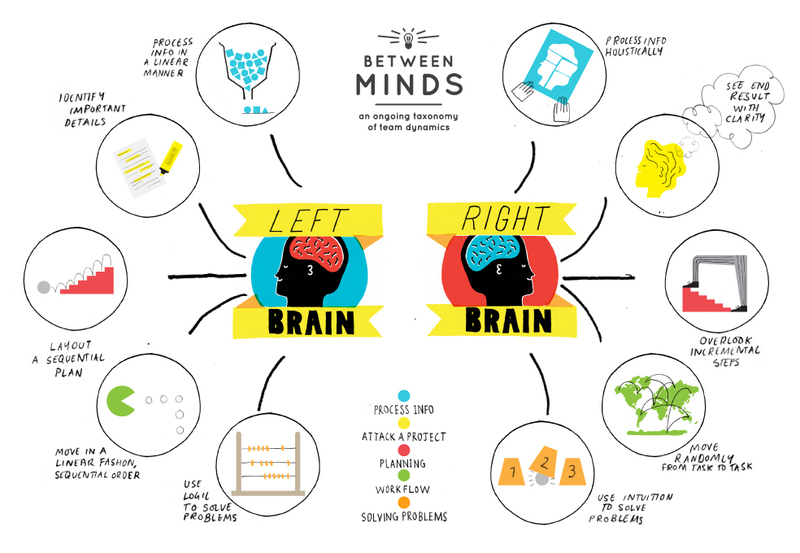 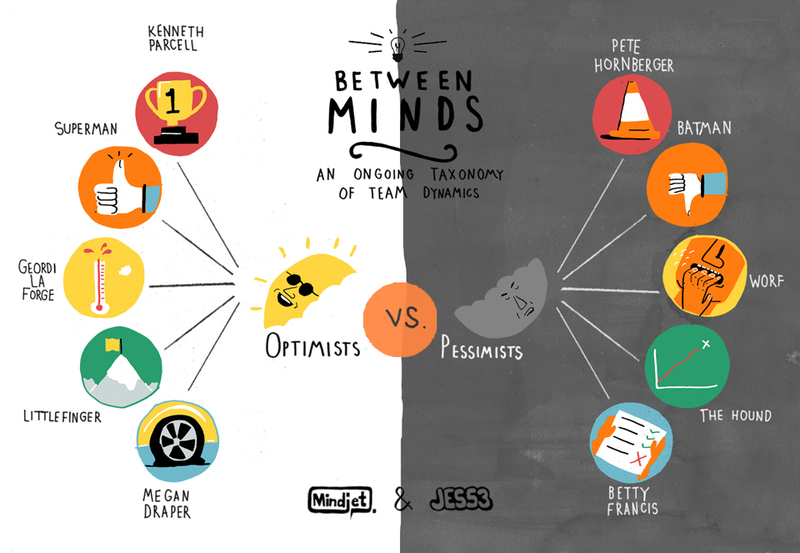 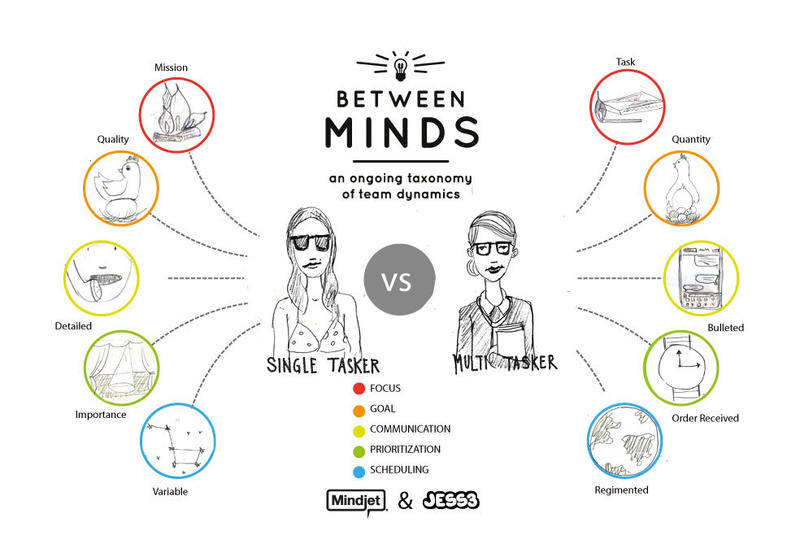 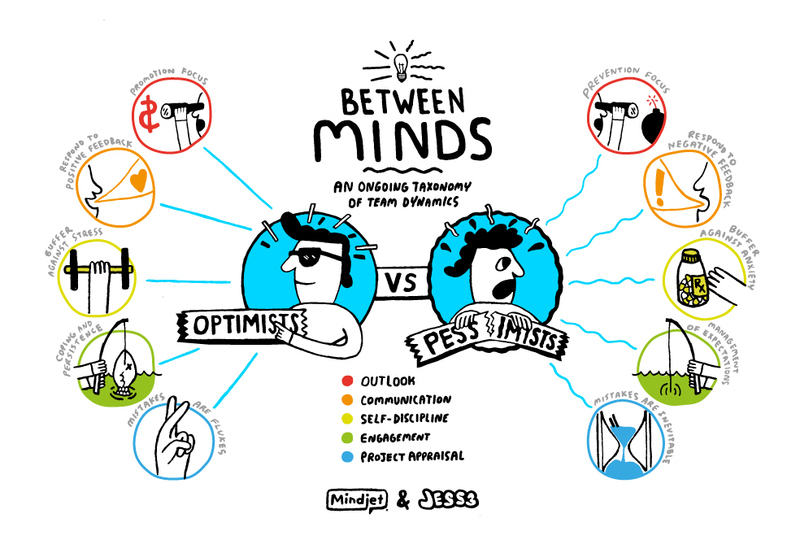 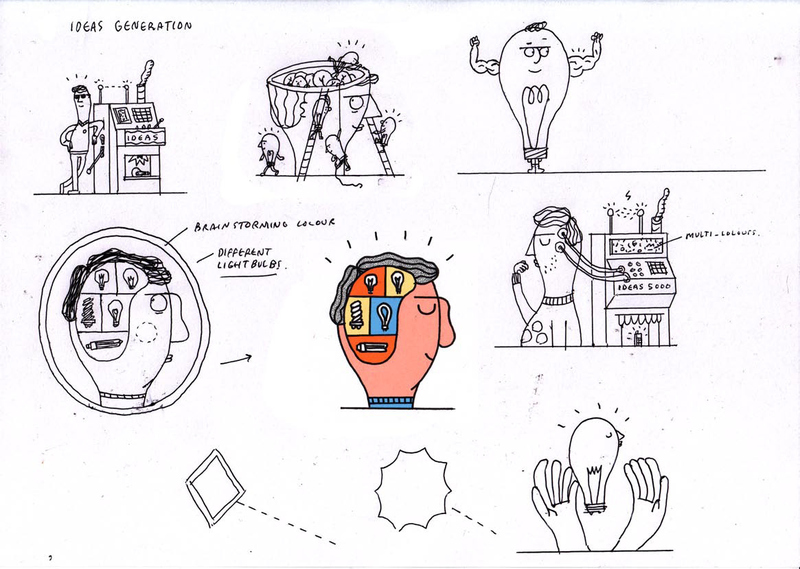 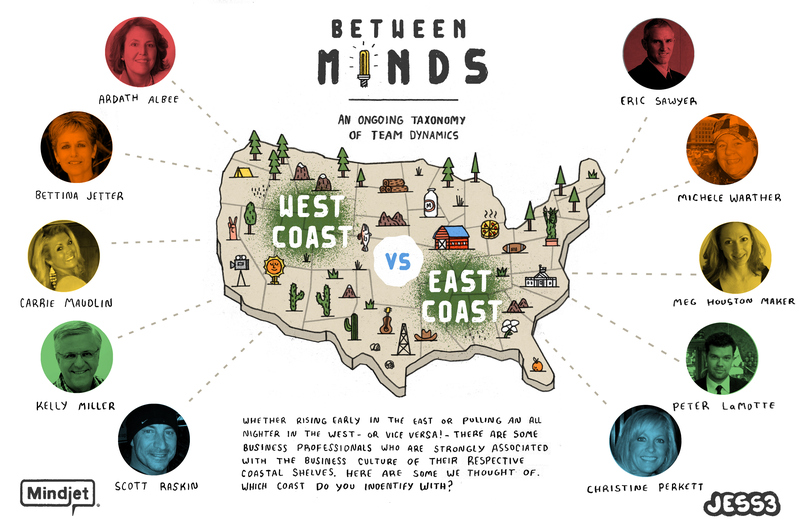 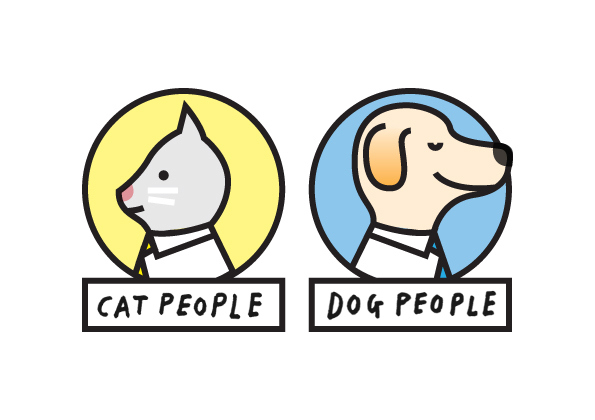 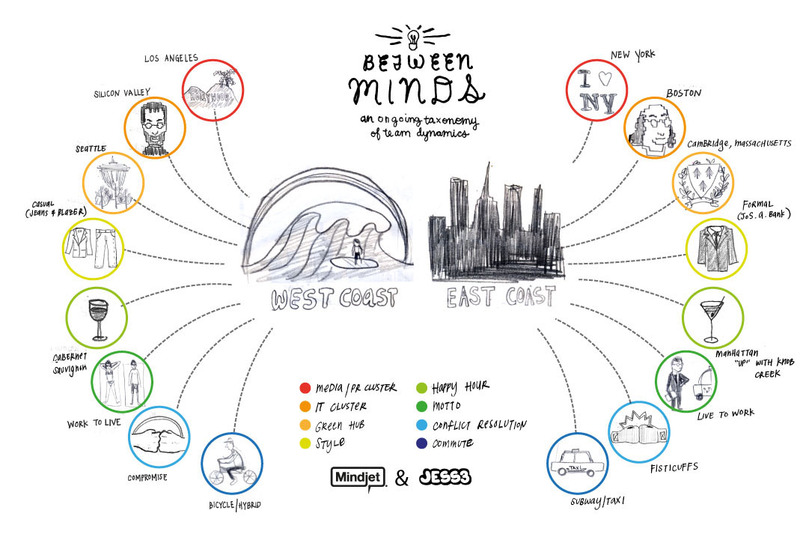 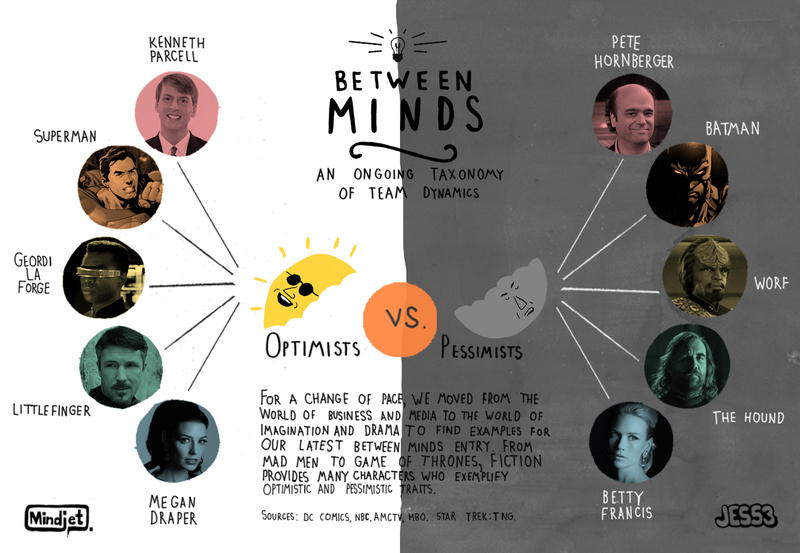 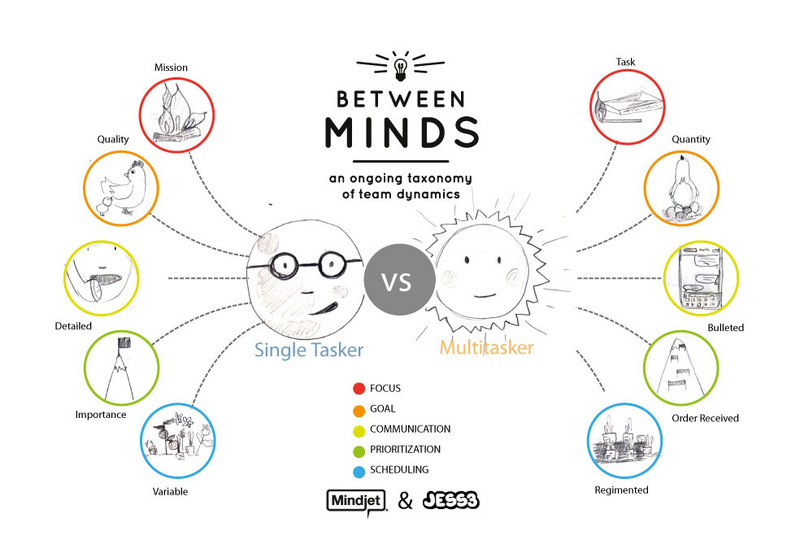 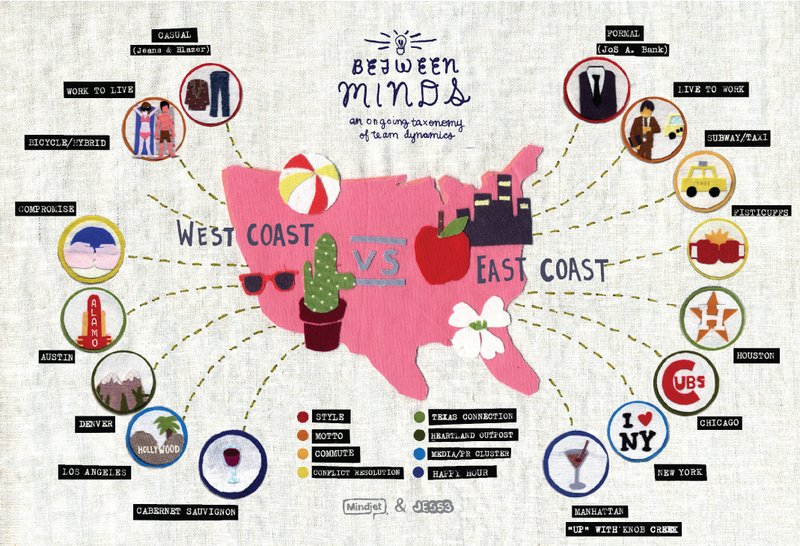 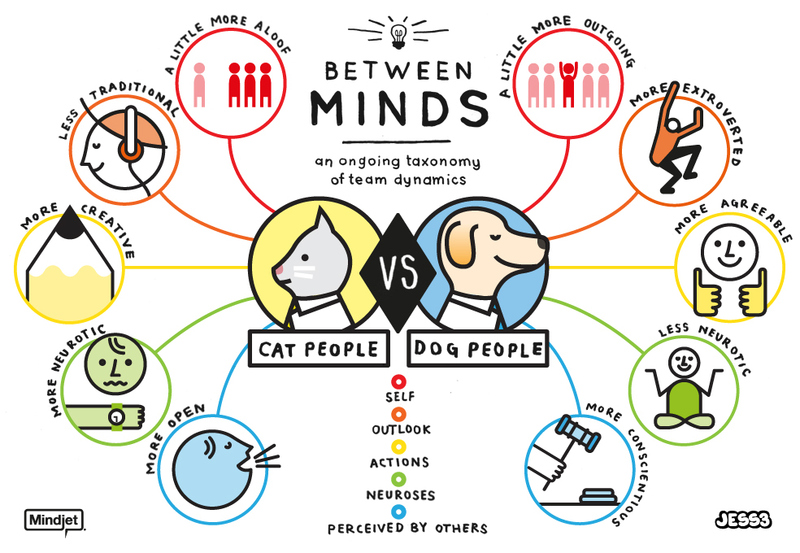 To visually emphasise the importance of many different individuals working cohesively, JESS3 worked closely with Mindjet to create the Between Two Minds Series, which unifies and highlights two opposing character traits (e.g., thought leader vs. do leader or cat people vs. dog people). 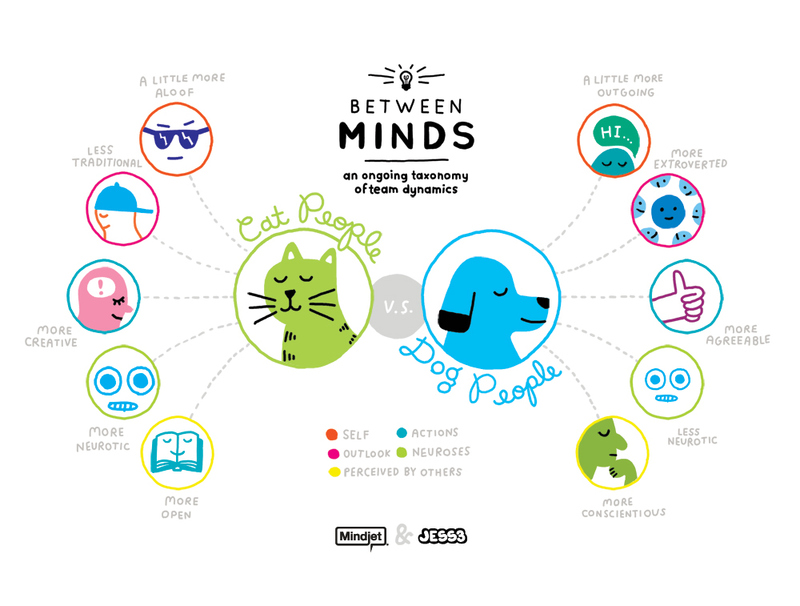 The series encourages people to identify with one trait or the other by tagging themselves and their friends in the graphic. 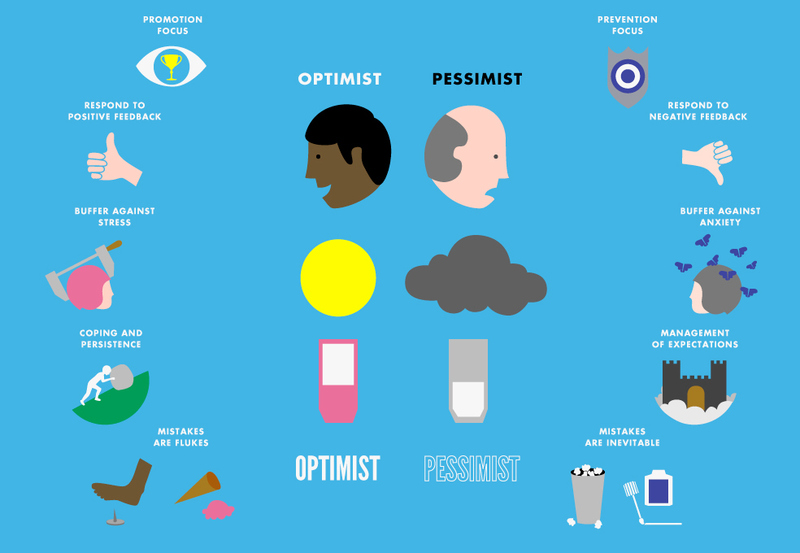 Part of the social aspect of this graphic was within the nature of the decision itself. 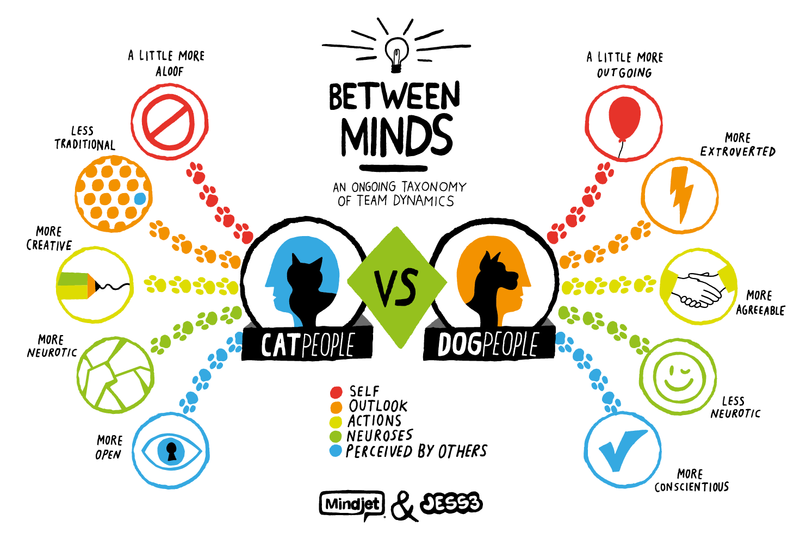 We knew compelling content combined with a graphic optimized for social sharing would be explosive. 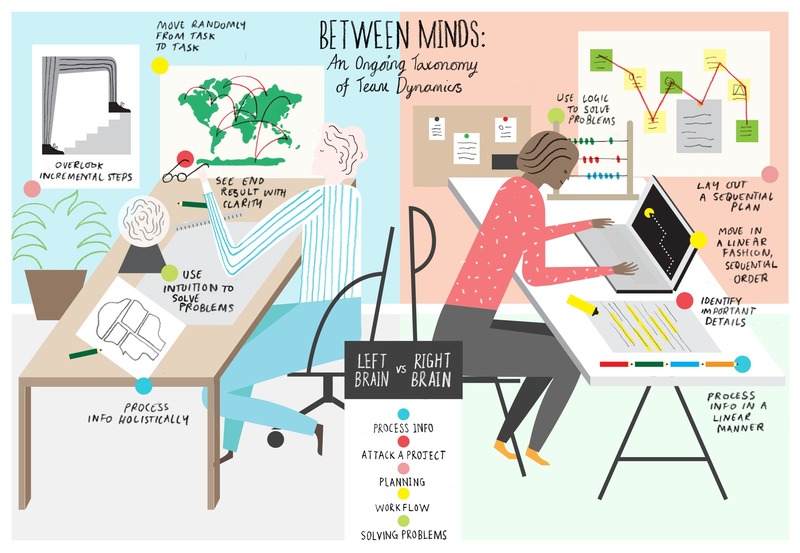 The challenge we had as a design team was how to make it visually engaging and compelling enough to be noticed, considered, and then shared. 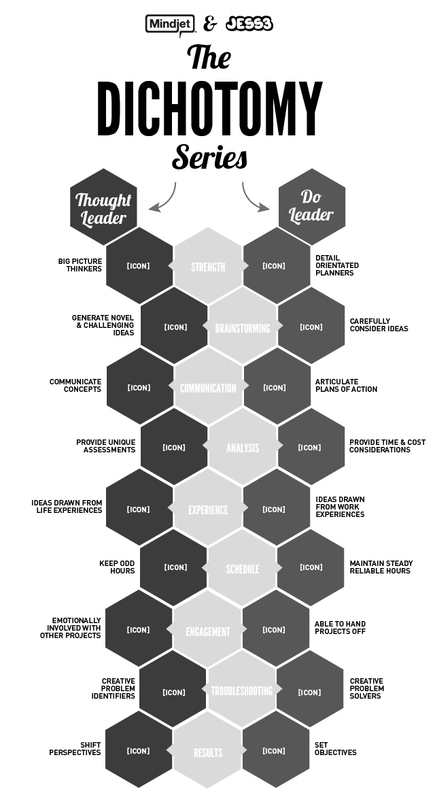 We knew from the beginning we wanted to take this into multiple layers. 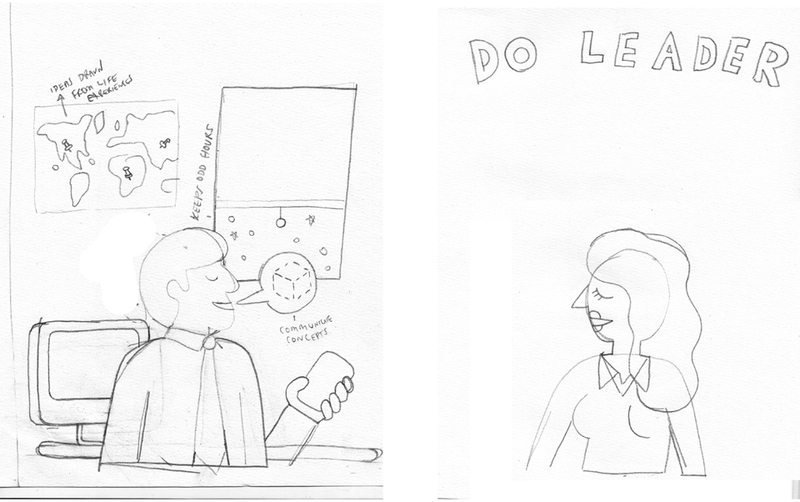 First, we used hand drawn illustrations alongside a brief caption to attract and promote the meaning and lightheartedness of the graphic. 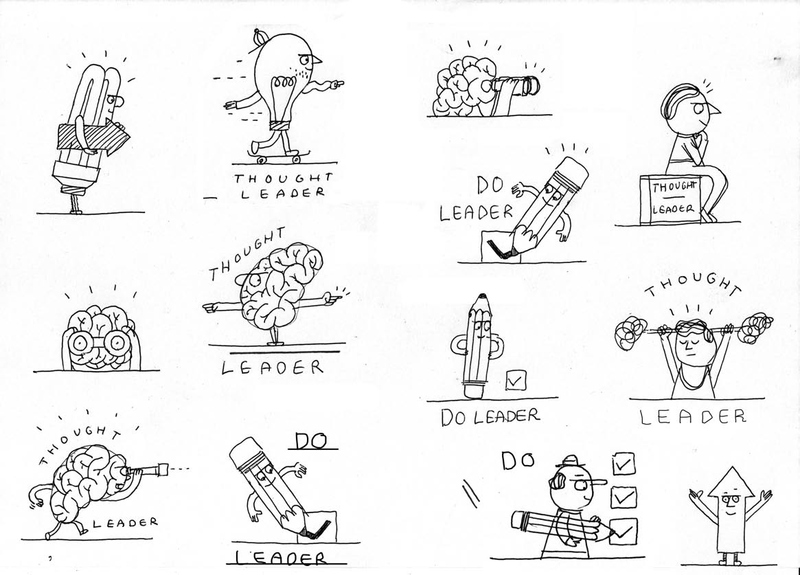 Then for each theme we used profiles of well-known figures to exemplify the traits from the previous, fully illustrated graphic. 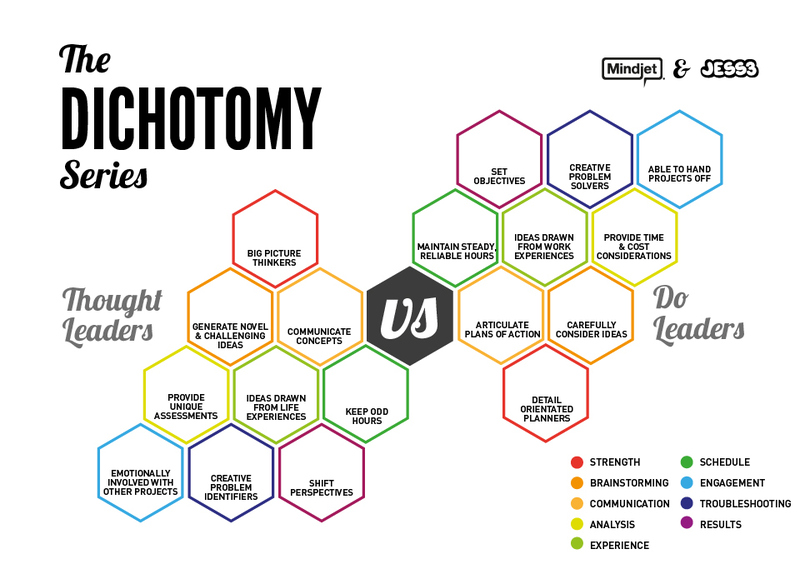 Because the graphic presents its audience with two opposing sides, viewers first gauge and identify where they fall in the spectrum. 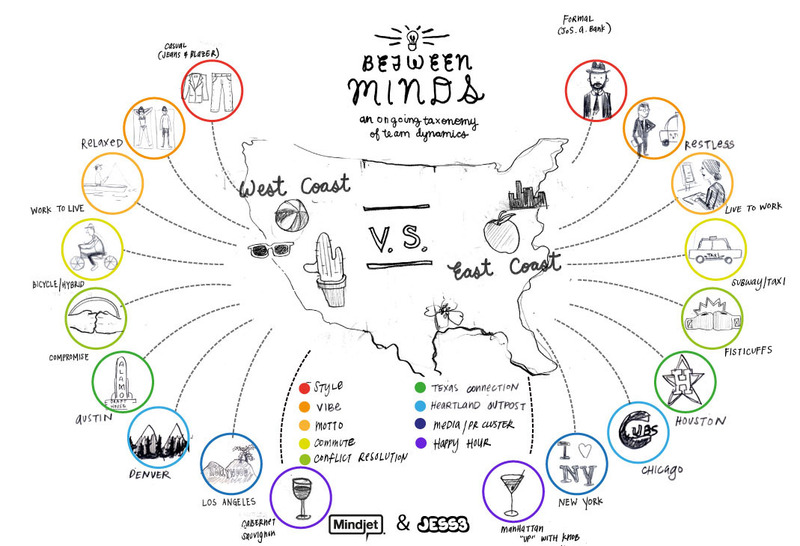 Then viewers identify where their friends fall. 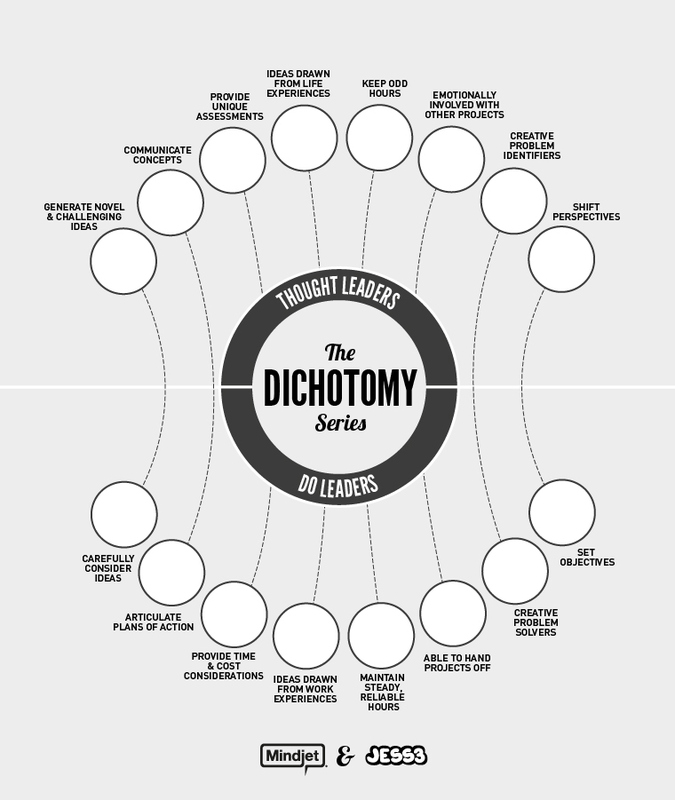 This creates a compelling need to share or view if you have been tagged or mentioned. 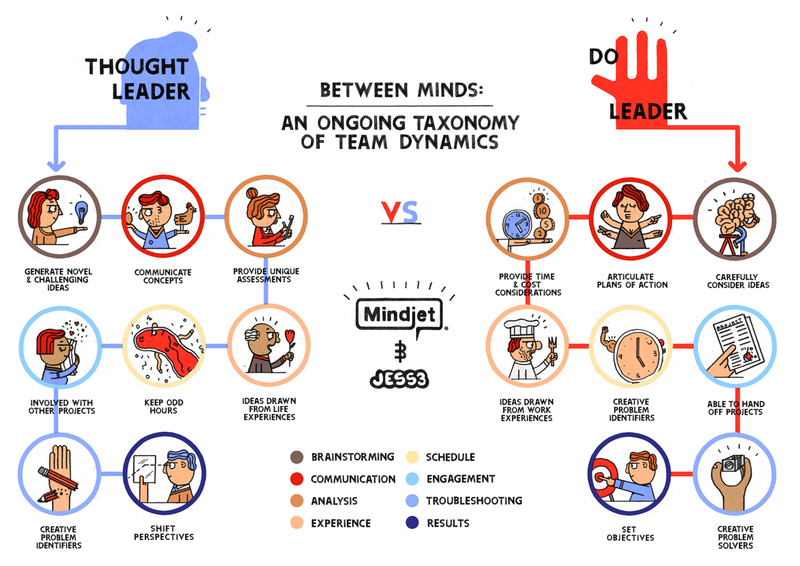 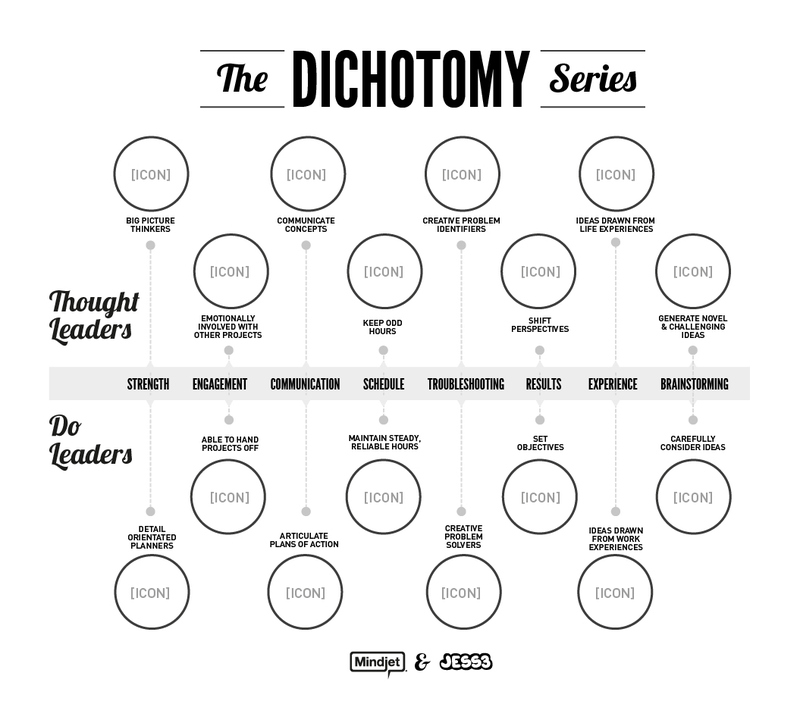 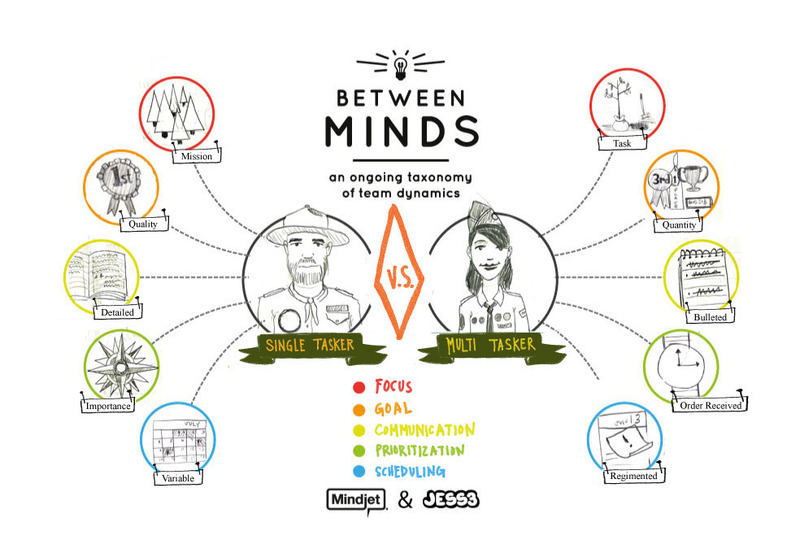 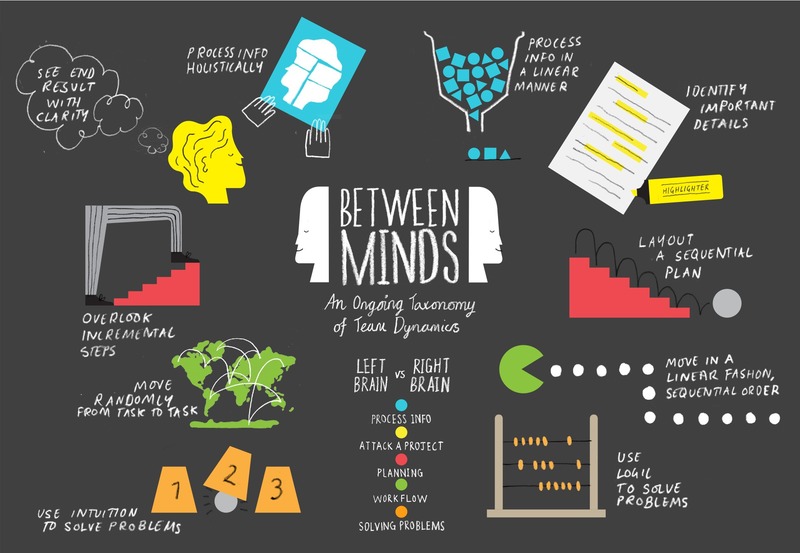 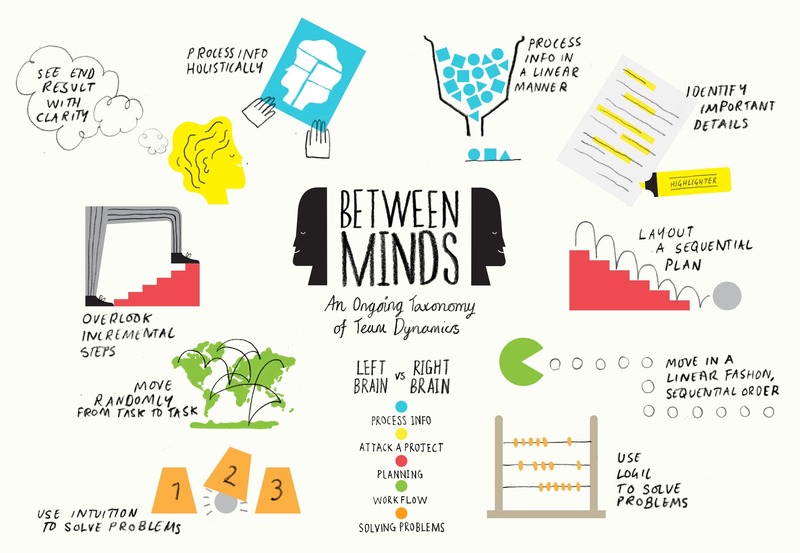 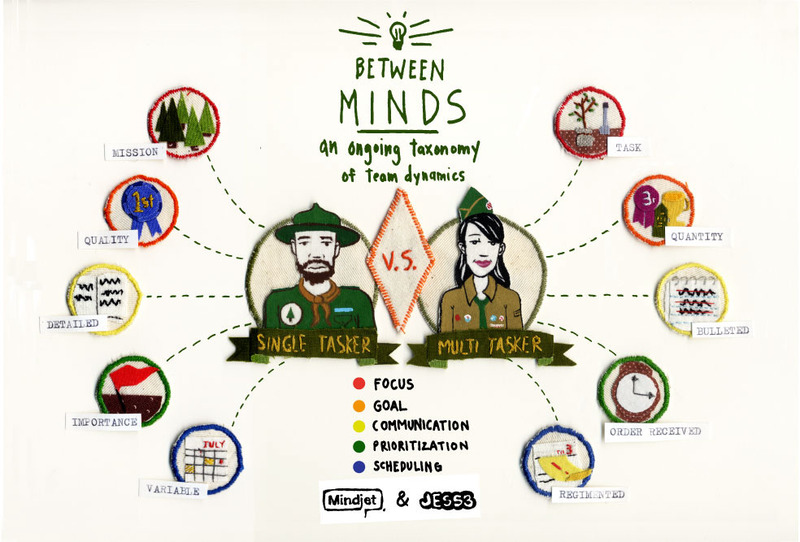 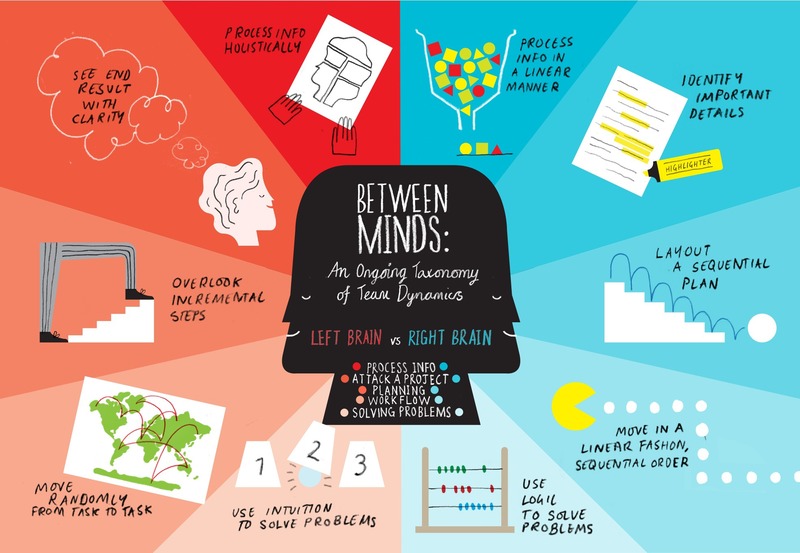 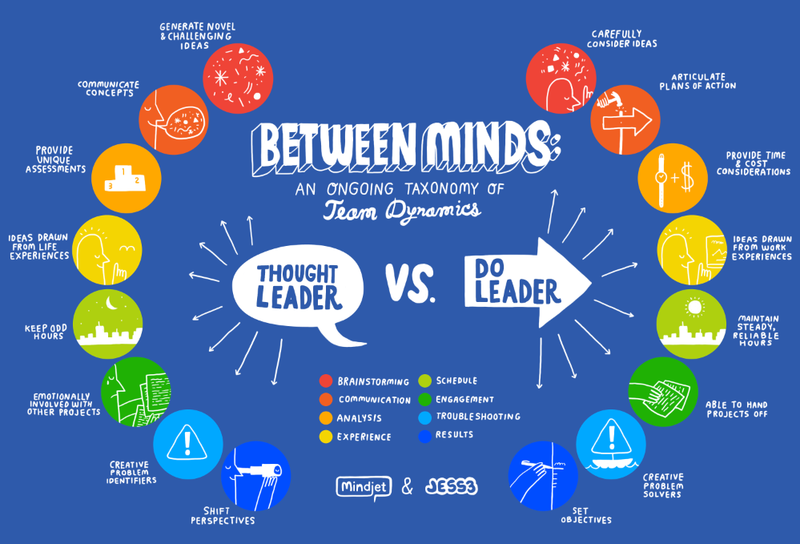 On the mindjet blog alone, Between Minds: An Ongoing Taxonomy of Team Dynamics received 1,600+ views; Communications Breakdown: Left Brain vs. 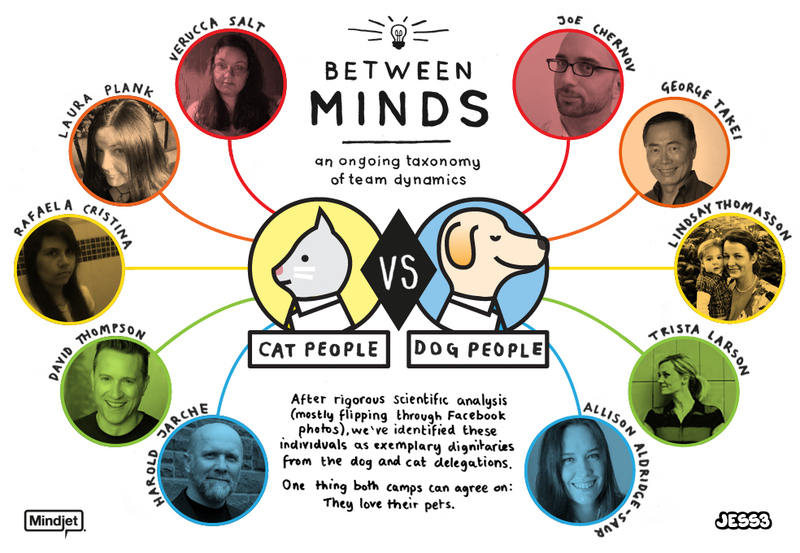 Right Brain received 1,400+ views; Between Fluffy and Rover: Cat People vs. Dog People received 800+ views; and The Glass is Half Observed received 600+ views. 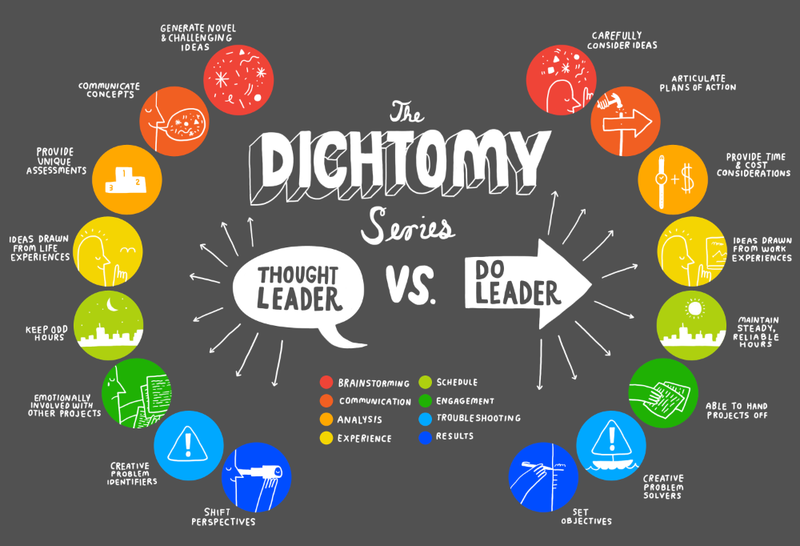 The response on social media sites like Facebook and Twitter has been equally impressive regarding the number of views, comments, and shares.